Hit a home run with your child while learning about adjectives. Spring is in the air...and on paper! 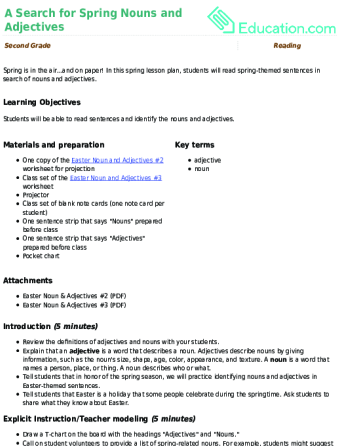 In this spring lesson plan, students will read spring-themed sentences in search of nouns and adjectives. Wrap up your summer by reflecting on your favorite friends, fun, and even food with this printable. It's springtime! What better way to celebrate than by interviewing your classmate with a range of spring-related questions? Students will practise interviewing one another and recording answers using complete sentences. 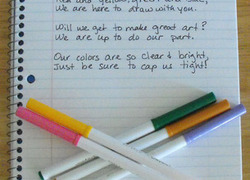 Celebrate the new school year with a back to school poem!